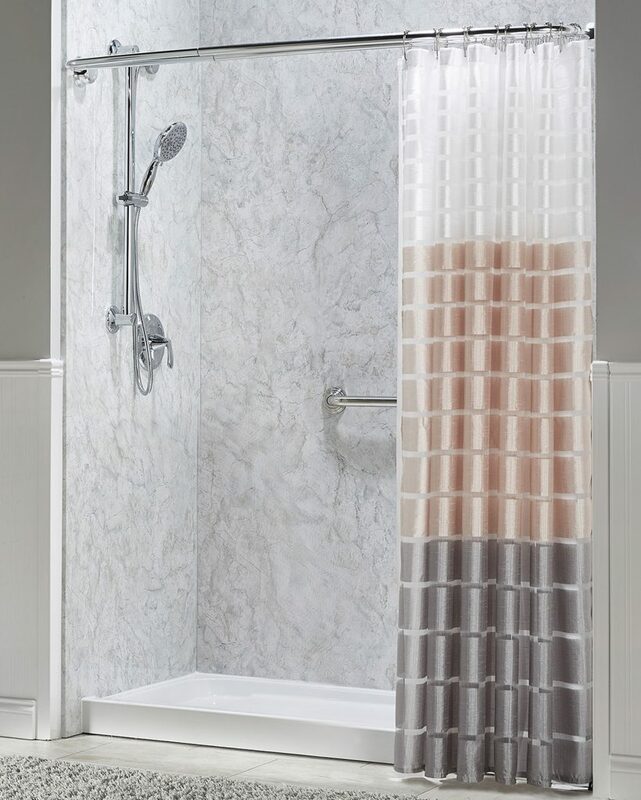 Showers so beautiful, you’ll want to sing in them. It’s time to soak it all in. 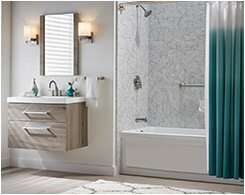 You’ve spent too long putting off this upgrade, but we’re here to show you how a bath remodel is completely within reach. 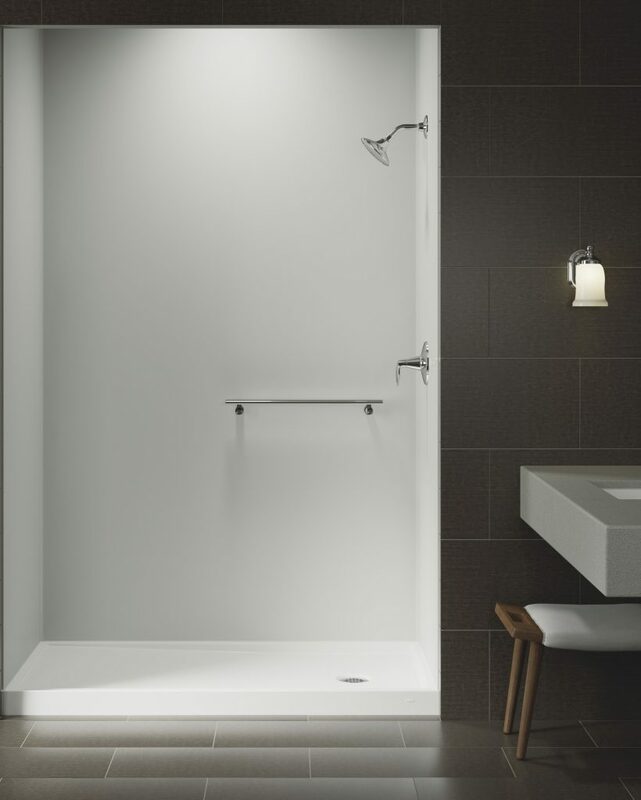 A sleek new bath might be perfect for you, but if a sleek new shower is what you have your heart set on, we also offer tub-to-shower conversions. Shower yourself with an upgrade – you’ve earned it. 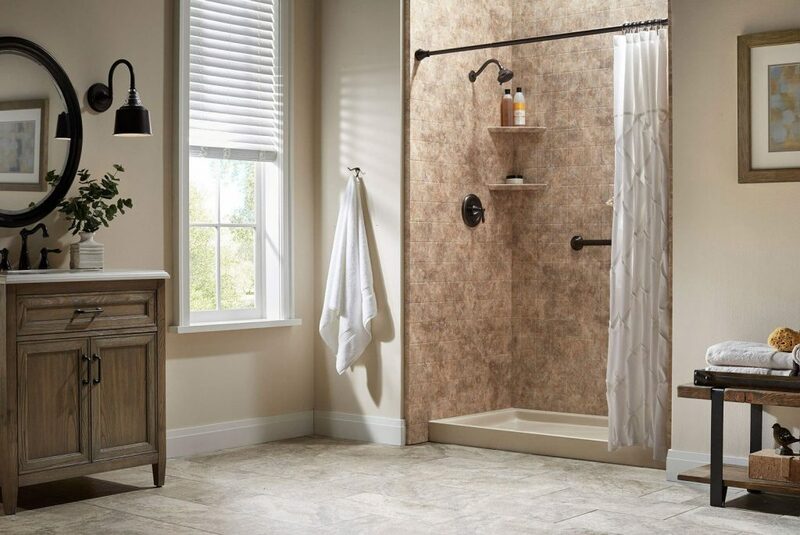 Our replacement showers offer an easy and affordable way to remodel any shower space and create a bathroom that fits your personal style. Singing in the shower? You’ll need the perfect stage. 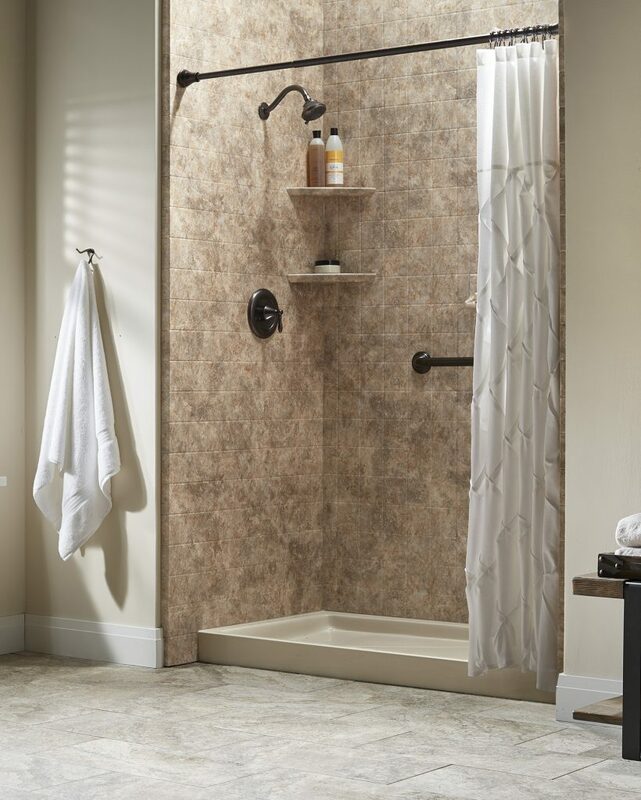 A walk-in shower from Tundraland is a convenient and easy way to upgrade your current shower. 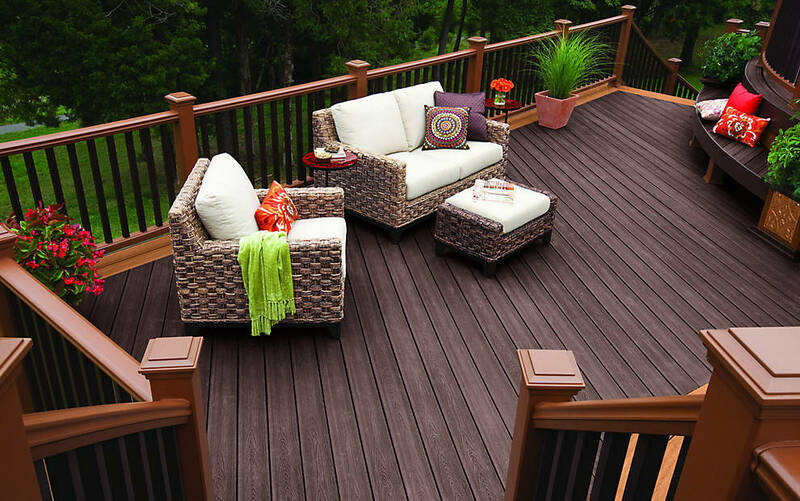 These products feature a non-slip surface, and extra safety. So go on, add a little dance to your morning routine. 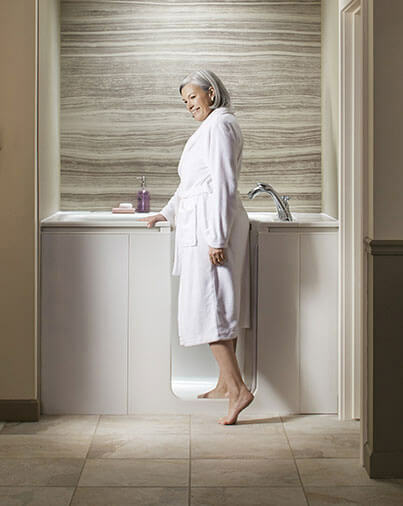 It’s okay to put yourself first, and when it comes to feeling confident and safe when you bathe, there’s no better choice than a Tundraland walk-in-tub. 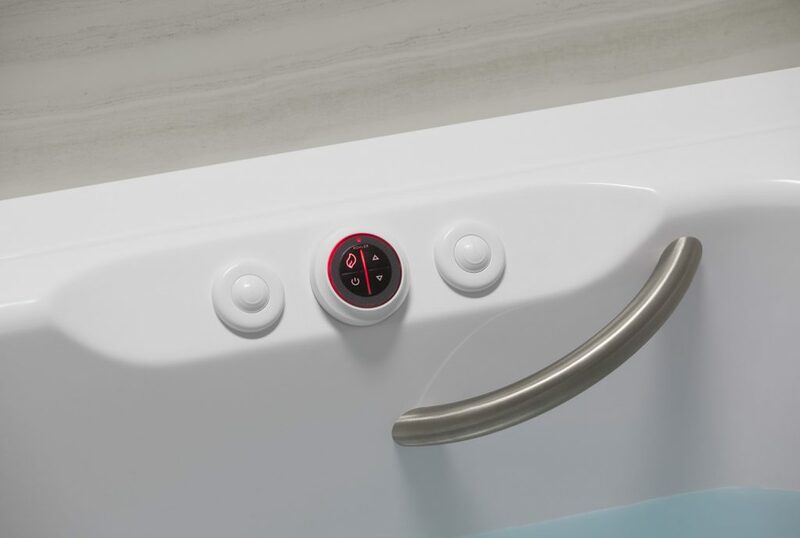 With a low-entry step-in, safety bars and ergonomic seating, it’s easy to see why so many people have decided to treat themselves to a walk-in-tub. Making the decision to convert your tub into a shower shouldn’t have you making pro-con lists for weeks. 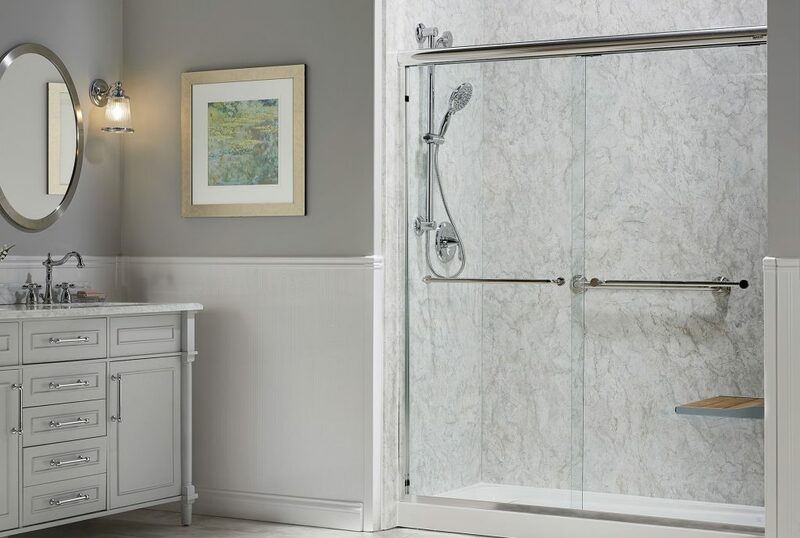 Our tub-to-shower conversions can be installed quickly and easily, at a price so affordable you’ll wonder why you waited so long! 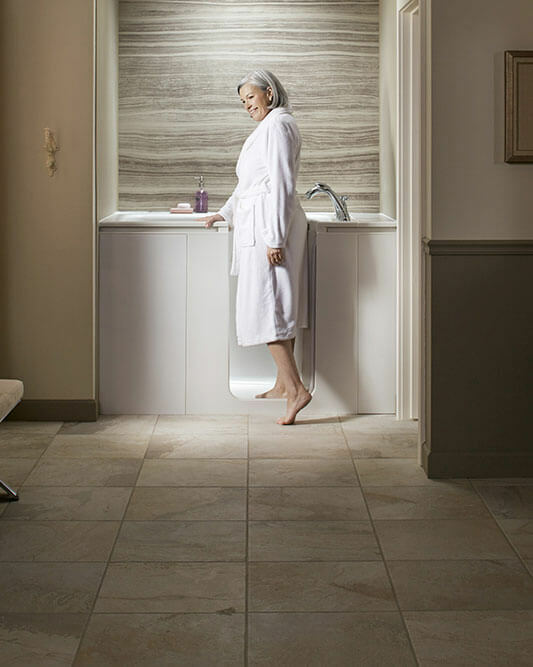 All Tundraland customers receive a complimentary upgrade to new Kohler fixtures with any new bathub or shower purchase. Double hung windows are easy to operate and can be raised from the bottom or lowered from the top, offering you two levels of ventilation. This is a popular style of home windows as they are both screen- and air conditioner-friendly. These projection-style windows are hinged and open from the left or right side, and swing up to 90 degrees for easy cleaning. 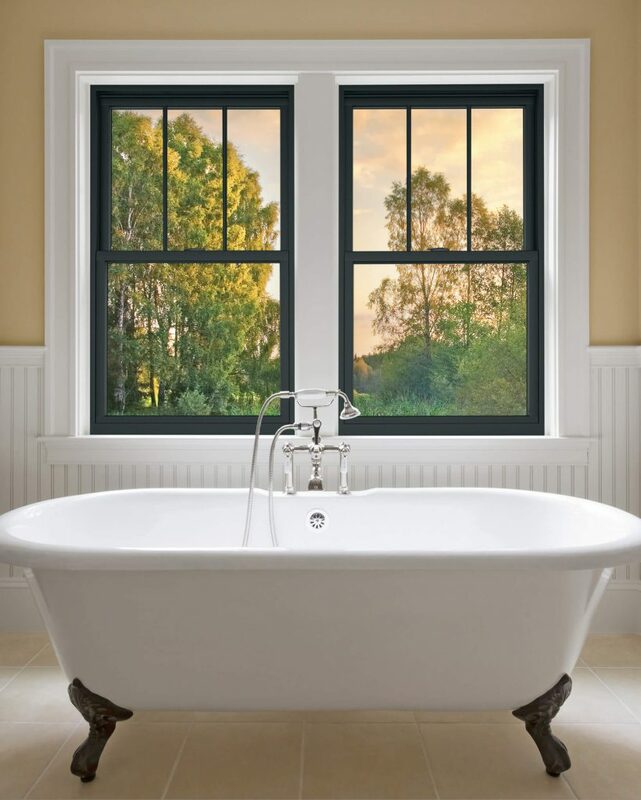 Casement windows are designed with more glass area and less frame to provide extra natural light and outdoor views. 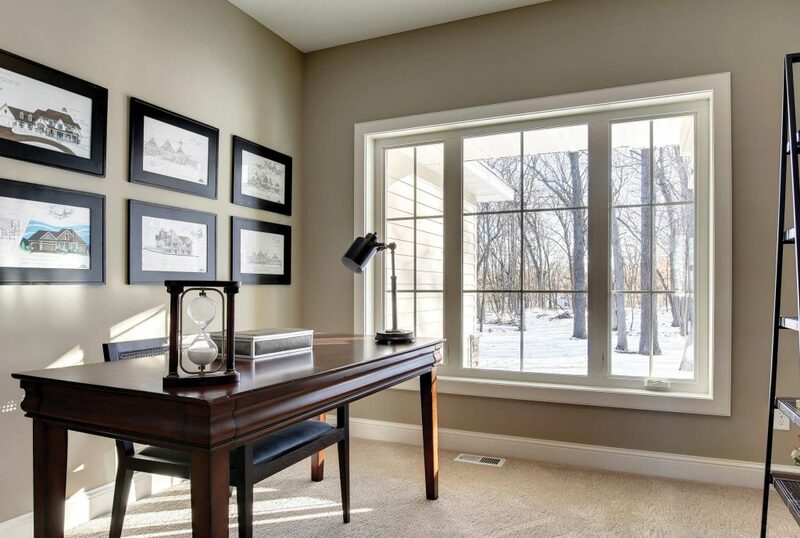 Picture windows are perfect for maximizing sunlight and making a room appear bigger. These windows are stationary and do not open, featuring large, fixed panes of glass. 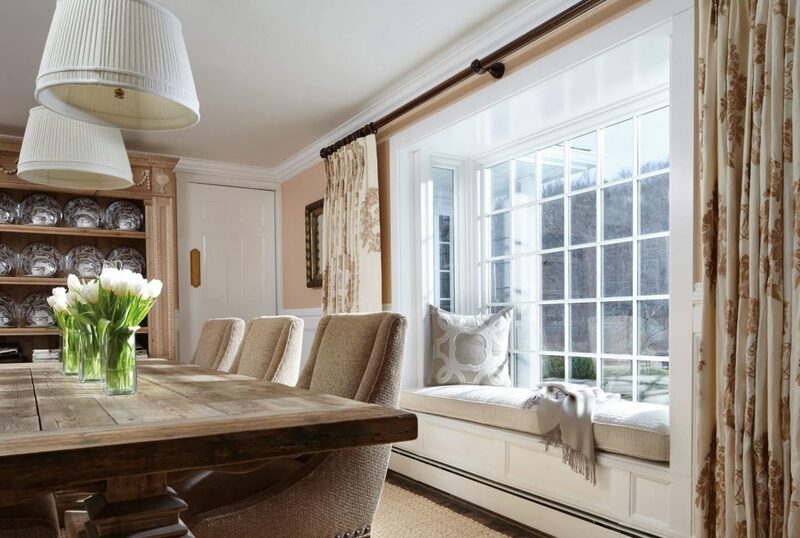 A picture window will create a natural focal point in any room. These two- or three-section sliders feature a horizontal construction, making them functional and easy to use. Sliding windows are ideal for high-traffic areas of your home such as family rooms and bedrooms because they supply ample natural light and ventilation. 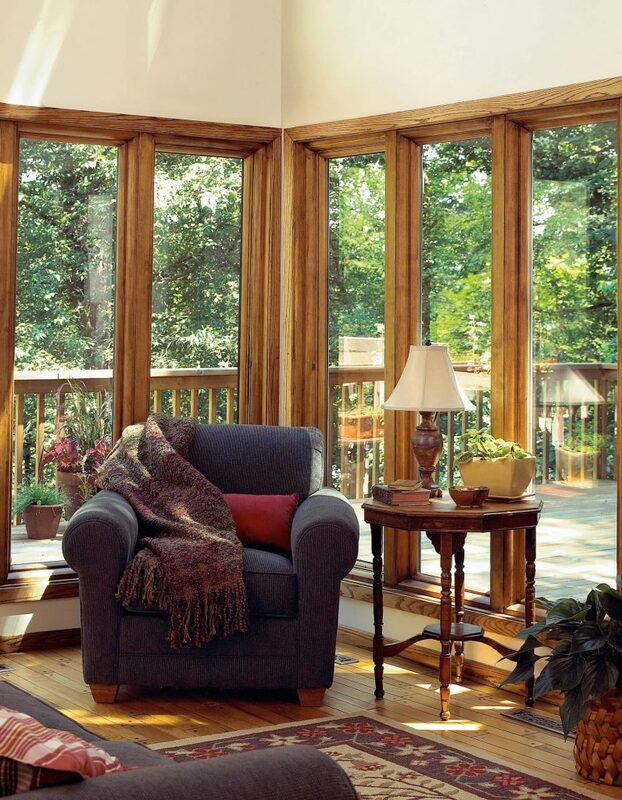 Bow windows extend beyond the exterior wall of your home in an arch of four or more equally sized windows. 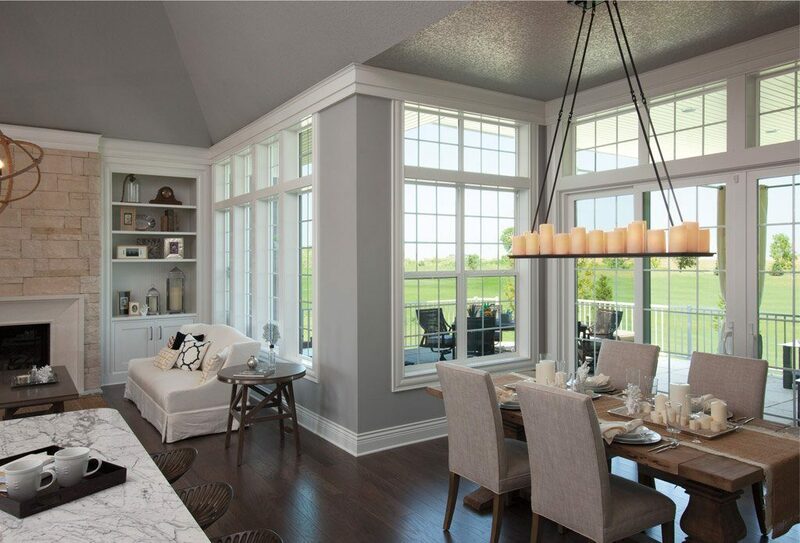 These home windows are a great option to make a room look more spacious and optimize views of the outdoors. Bay windows consist of a large picture window centered between two smaller windows, which are angled beyond the exterior wall of your home. This extension creates a ledge inside your home for additional seating or other uses. 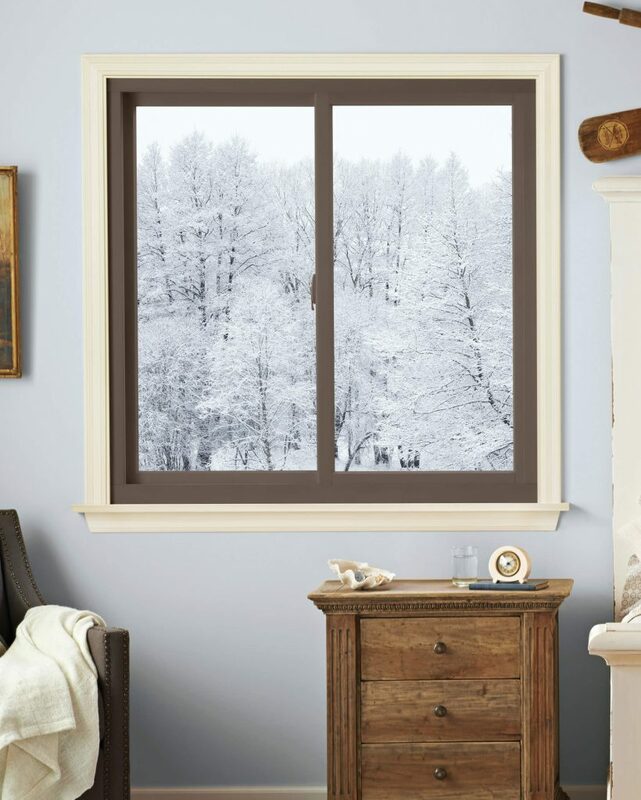 Awning windows tilt up and open outward, allowing you to ventilate your home, even during a light rain shower. 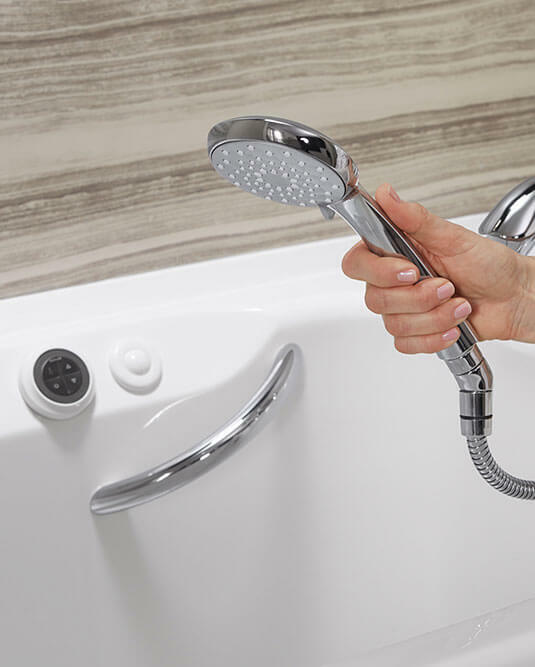 They feature an easy-to-use crank system and are typically smaller in size, making them an ideal choice for basements, bathrooms, and kitchens. You can grow plants and flowers year-round with our garden windows. 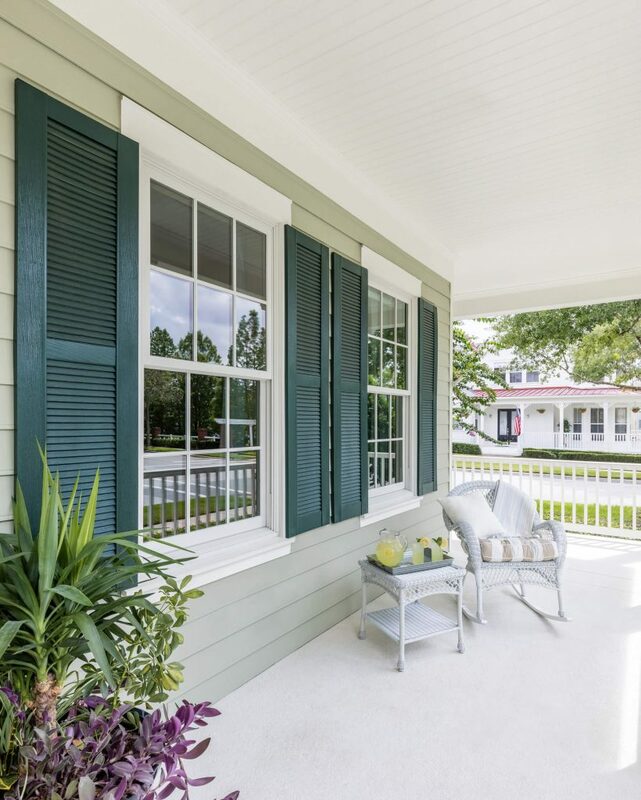 A garden window has a unique design in that it extends past the exterior wall of your home, and usually consists of four windows that let sunlight pour in, creating the perfect spot for potted plants. 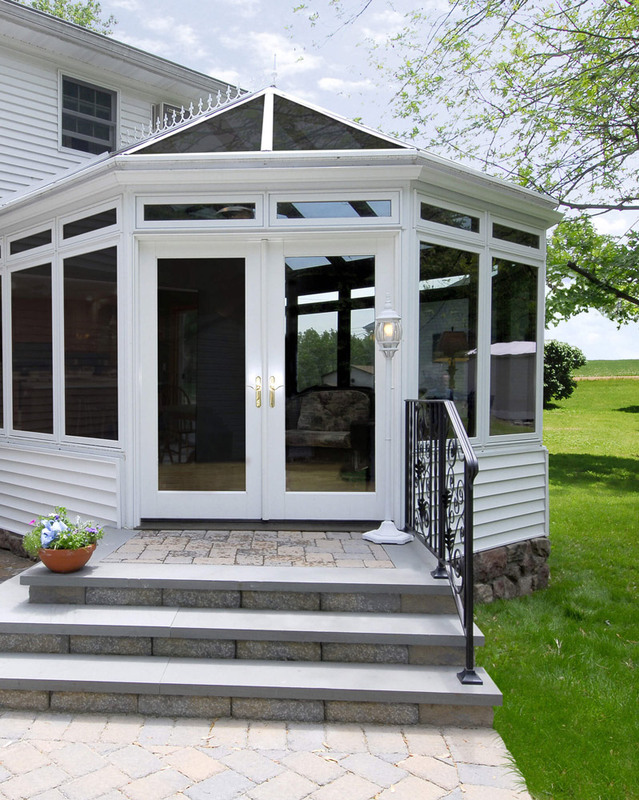 Connect the inside of your home to your outdoor space with patio doors from Tundraland. These doors are available in styles such as in-swing, out-swing, sliding, or French, as well as a variety of colors and sizes to fit your preferences. 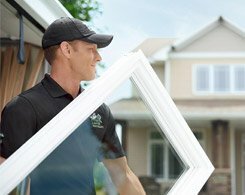 Now is the perfect time to replace those old windows! Claim your savings today by filling out the form below. 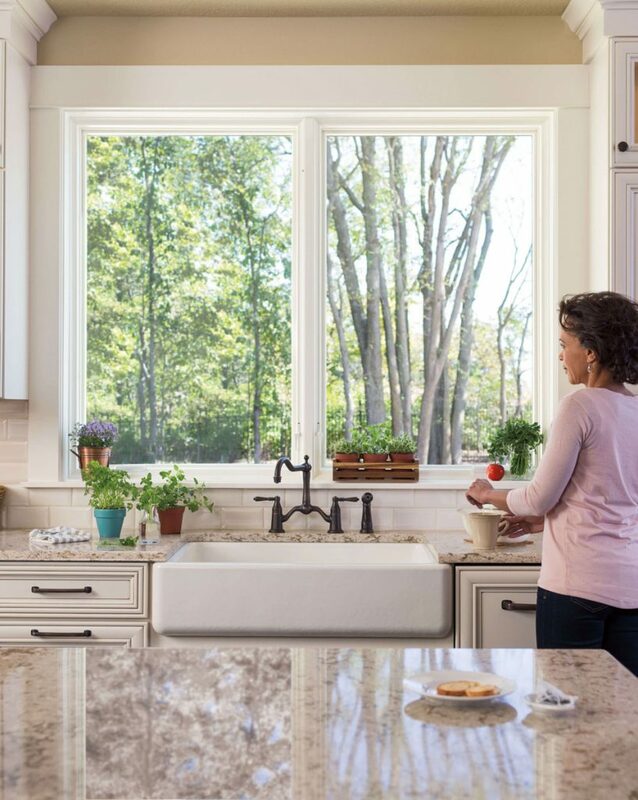 As a premier Wisconsin replacement window company, Tundraland is proud to offer a range of American made windows that are designed to fit your lifestyle and budget. 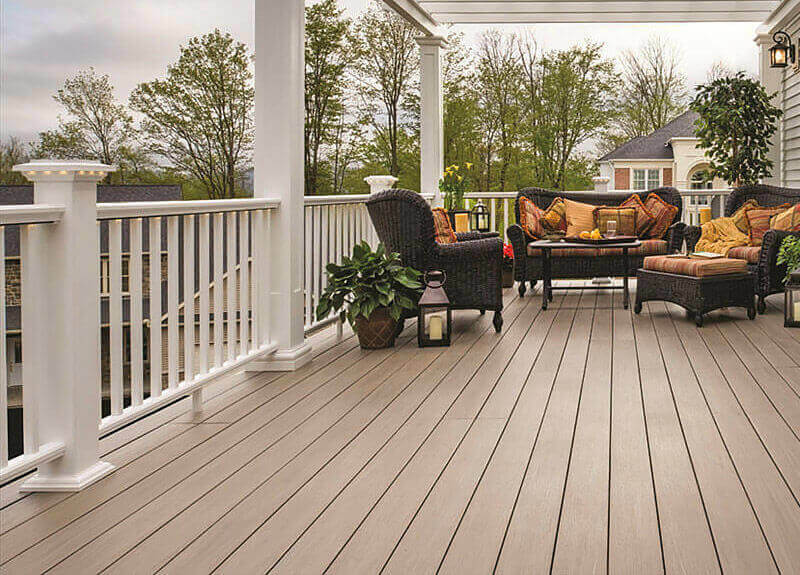 When your deck is warped and splintering, it’s unlikely you’ll want to spend much time on it. 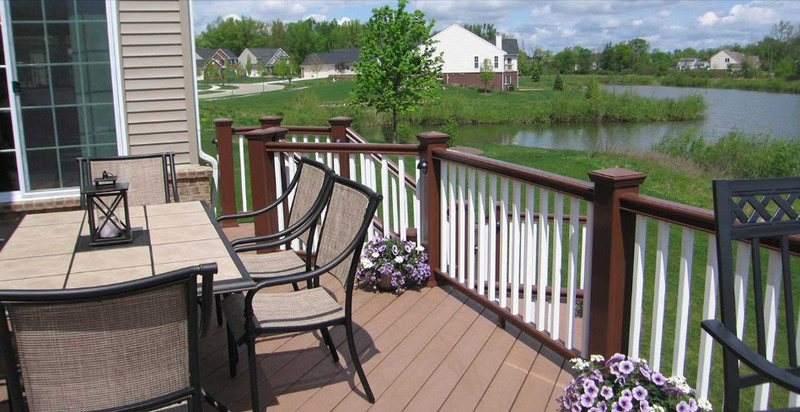 By investing in a composite deck by Tundraland, you’re investing in a space for your family to enjoy for years to come, because composite decks hold up better against the elements than traditional wood decks. We see years of BBQ parties in your future. 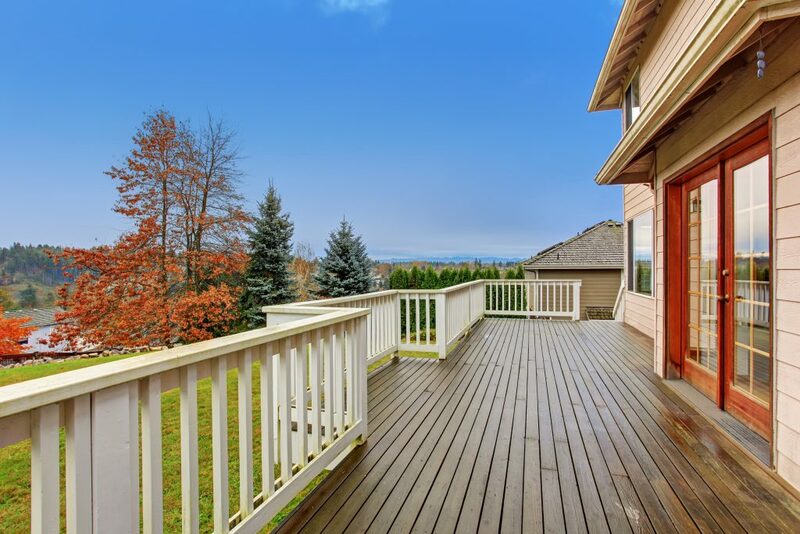 No one wants to spend weeks watching a home improvement project unfold in their backyard. 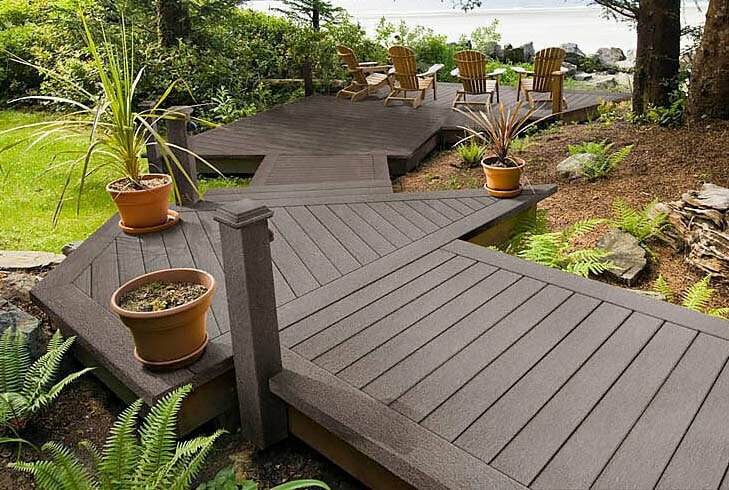 That’s why we’re proud to offer our famous deck-in-a-day installation. 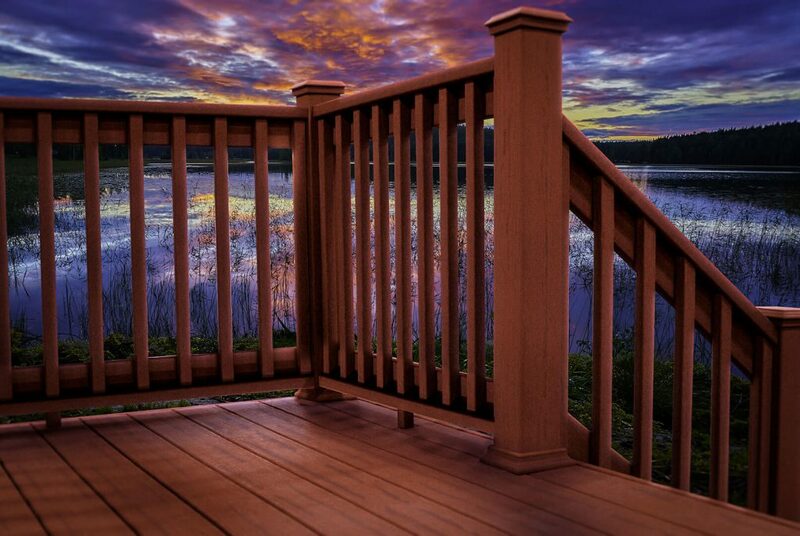 Our craftsmen will be in and out in a day, leaving your Wisconsin home with a gorgeous new deck in no time. 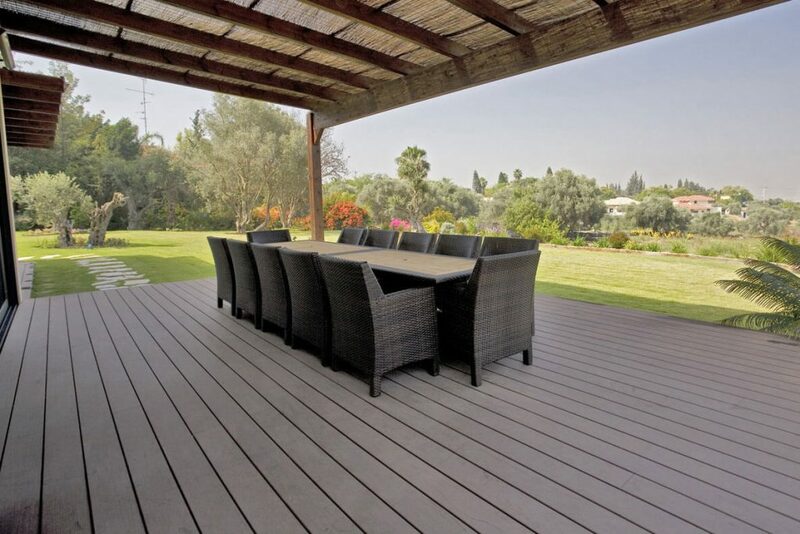 Act now to take advantage of a steep discount on the installation of a new deck for your patio. It’s time to finally put yourself first, trust us. 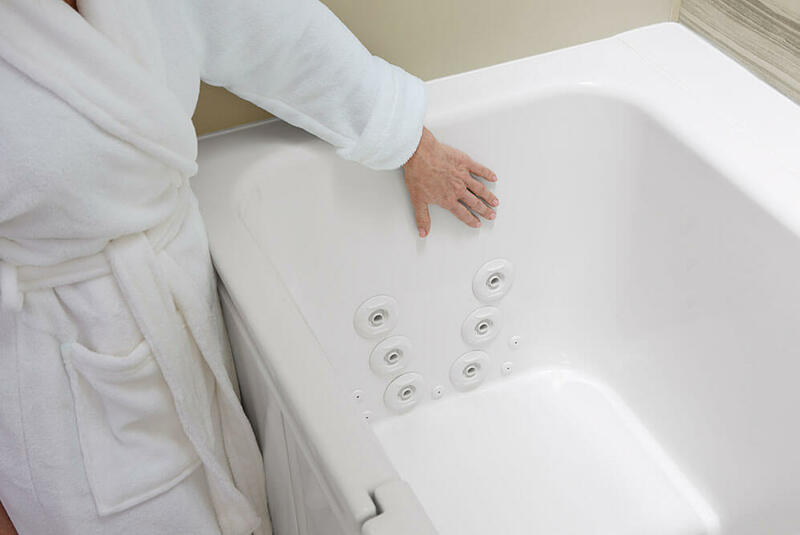 If you’re considering a walk-in tub, then safety is likely your #1 priority. With convenient handrails, non-slip flooring, and a low-entry threshold, our walk-in tubs are some of the safest on the market. 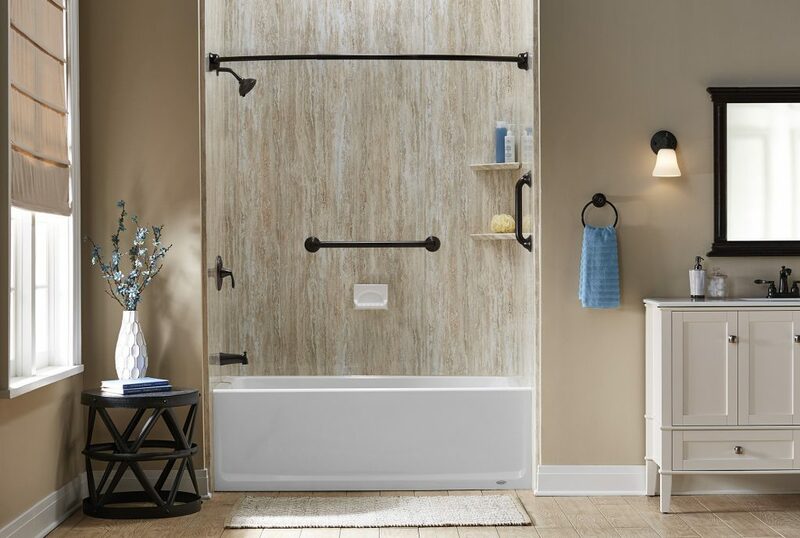 When you make the decision to invest in yourself by upgrading to a Tundraland walk-in tub, you can be confident that you’ve made the right choice. 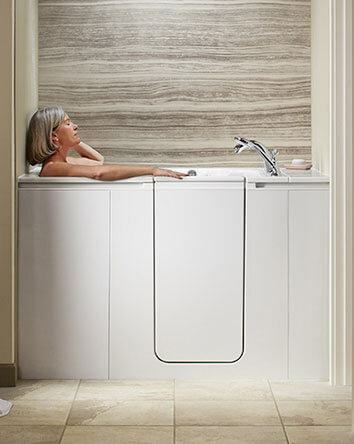 Some people assume that walk-in tubs are less about relaxation and more about functionality. Those people would be wrong! With so many luxurious features, a walk-in tub from Tundraland provides a spa-like experience you’ll never want to end. 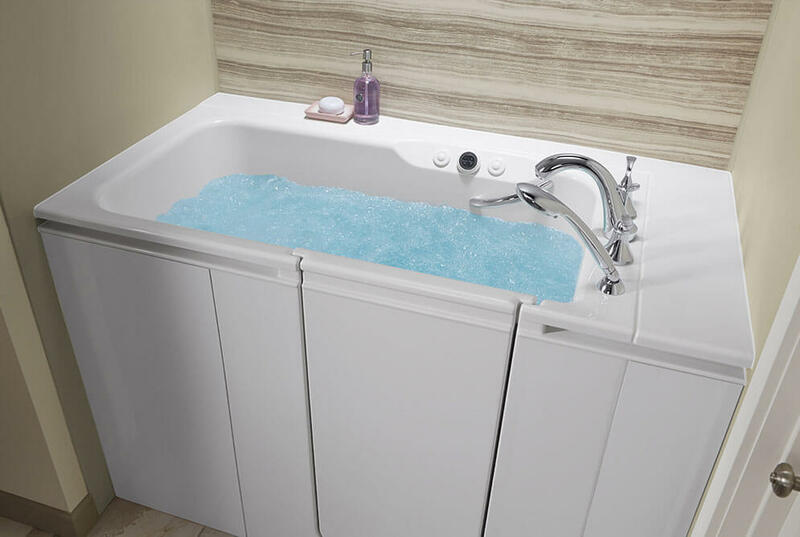 Each of our walk-in tubs are unique and customized to fit our customers’ specific style preferences and needs. 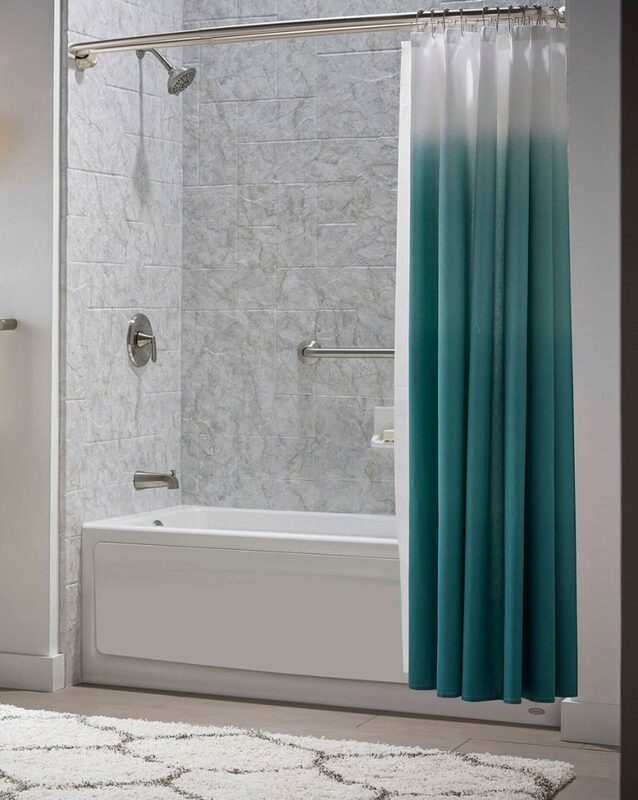 Tundraland’s walk-in tubs come in multiple colors, with various fixture options and endless add-on features. In a world where immediate gratification has become standard, we believe the same should be said about your walk-in tub installation. That’s why when you buy a walk-in tub from Tundraland, you’ll be enjoying it in no time thanks to our one-day installations. 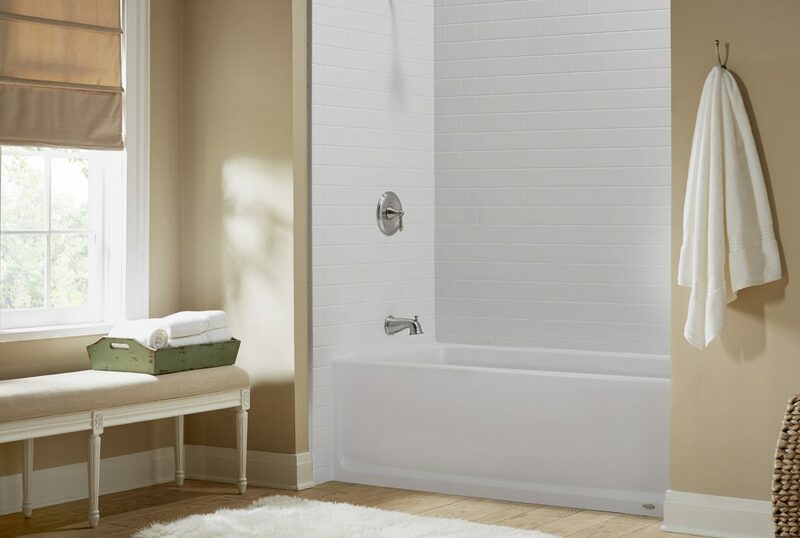 Enhance safety and comfort when bathing and save big when buying a new walk-in tub from Tundraland.  Act now to receive 1/2 OFF Installation! 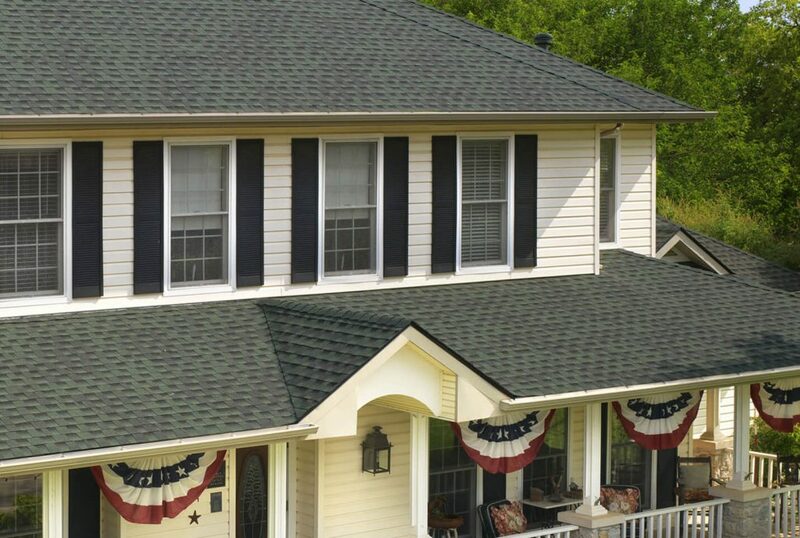 Our residential roofing products are crafted with innovative, American-made components to ensure flawless performance for decades. 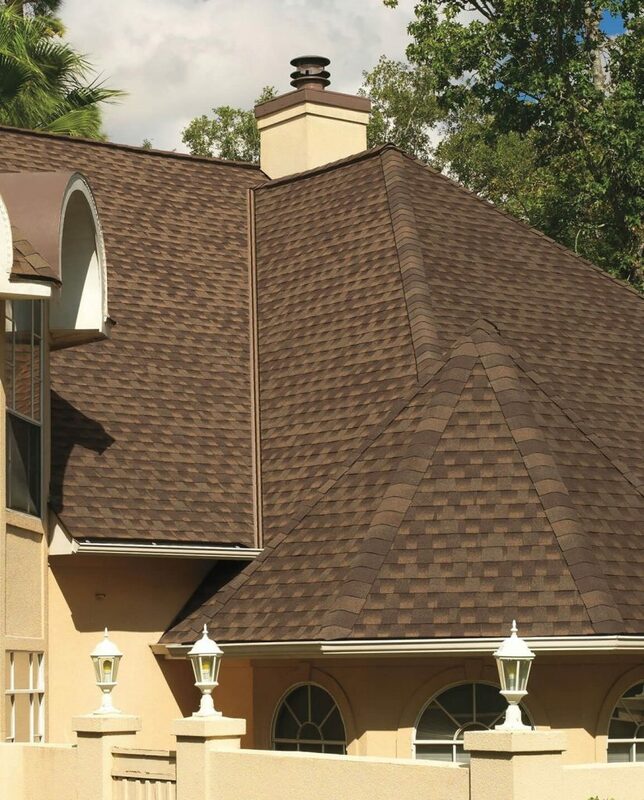 Tundraland roofs are also engineered to enhance your home’s curb appeal and meet your aesthetic preferences, as they are available in a wide variety of colors, textures, and configurations. 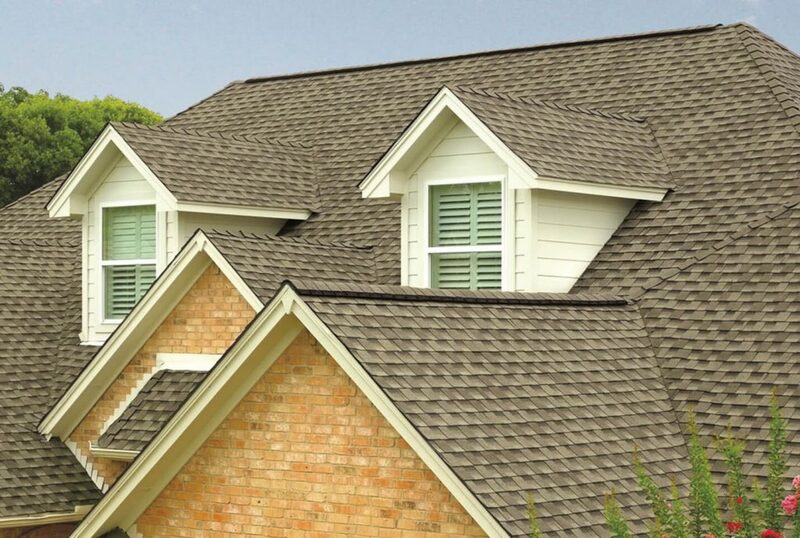 Tundraland proudly provides full-service, residential roof replacements. 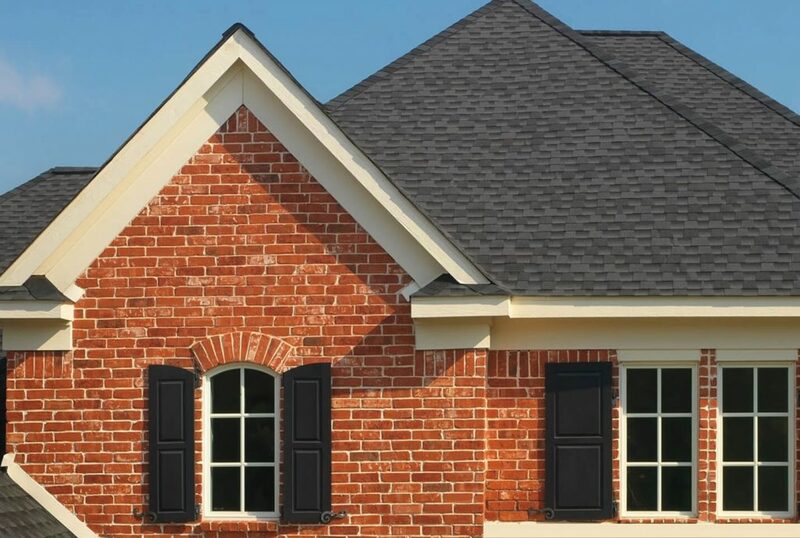 To ensure that you’re completely satisfied with the final product, our experienced technicians will strip your existing roof to the deck, perform a comprehensive inspection, and install your new roof in compliance with industry codes and best practices. 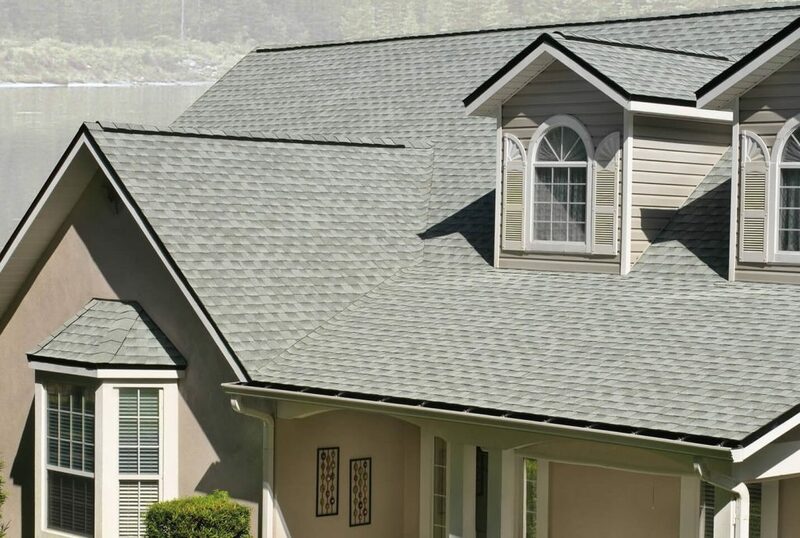 Our specialists can also properly ventilate your roof for optimum performance. 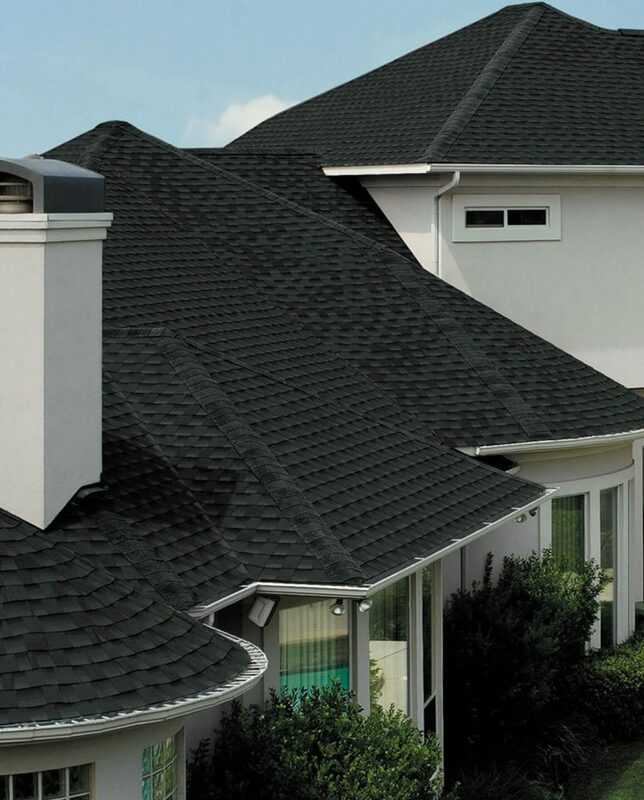 There’s no need to stress over replacing your roof when you trust the experts at Tundraland. 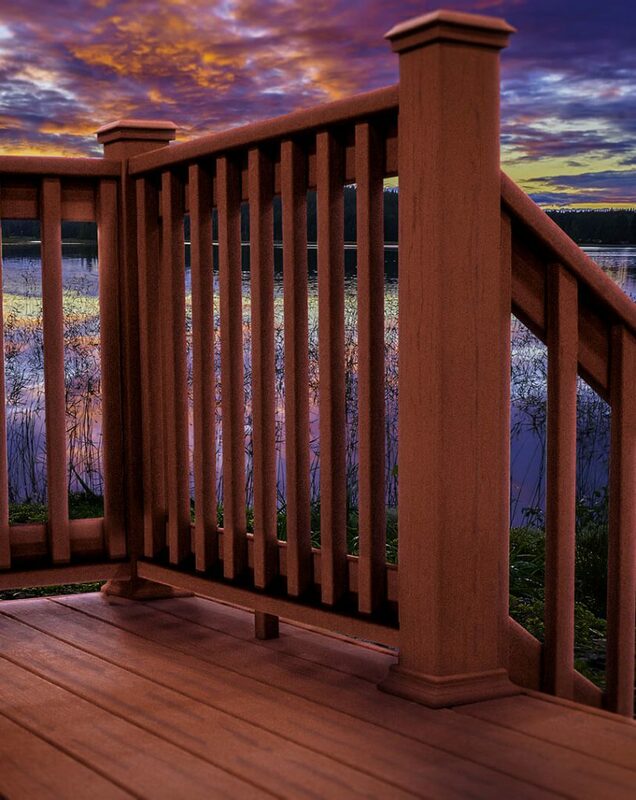 Perfect for sunrise coffee and sunset memories. 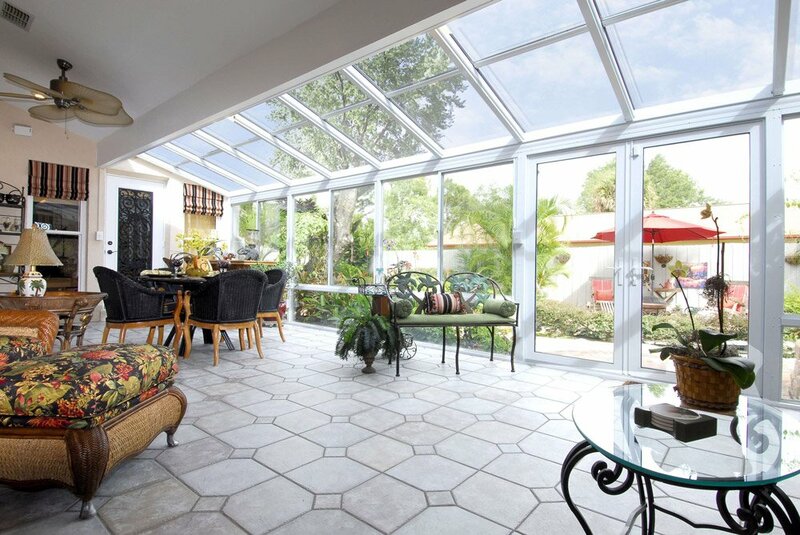 Our straight eave glass sunrooms are designed with straight edges to create a more modern and updated look. They feature glass walls and roofs and can be customized with a variety of colors and finishes for you to choose from. 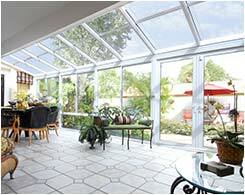 These gorgeous sunrooms feature high-vaulted, glass ceilings that create a spacious feel and let natural light pour in. 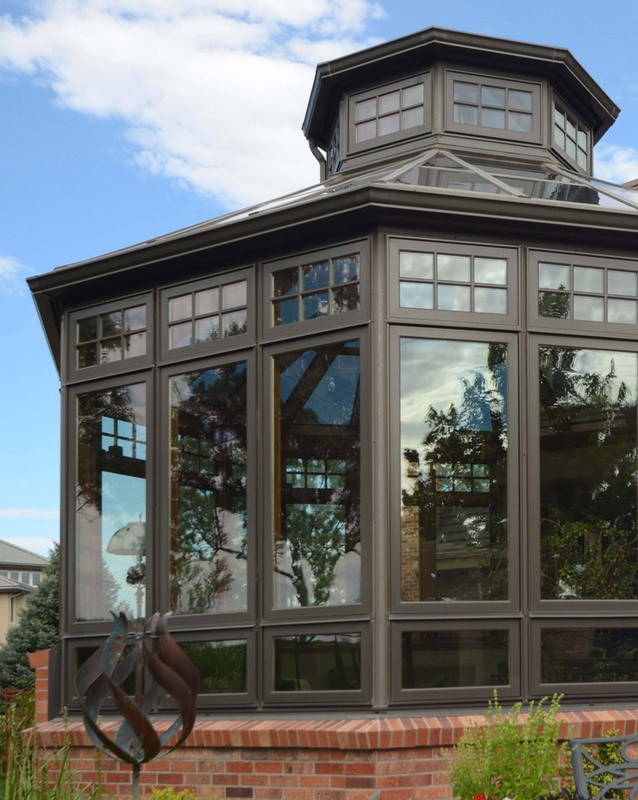 Our Cathedral sunrooms are available in multiple designs and finishes, letting you match the décor and aesthetic of your home. Similar to a sunroom, a solarium is a room made mostly of glass but is specially designed to keep your home at an ideal temperature year-round. The windows, walls, and floors are designed to trap solar energy and evenly distribute heat throughout the enclosure. 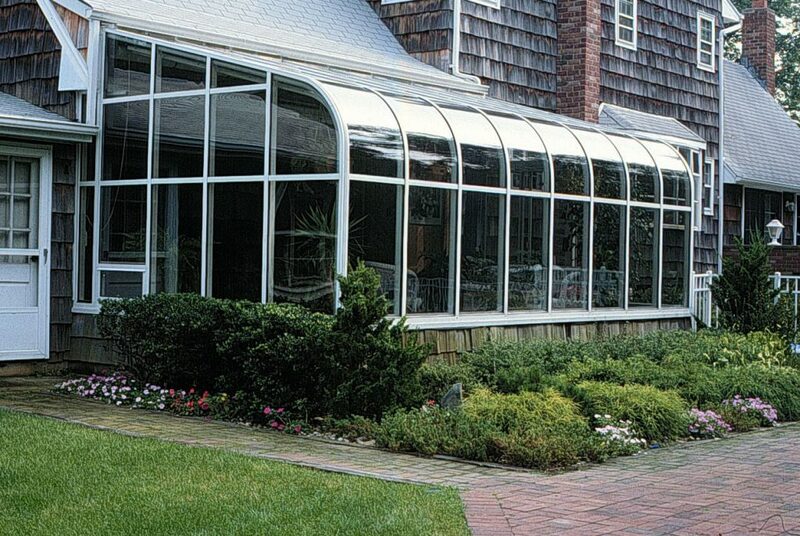 Our curved eave sunrooms are a beautiful addition for any home. 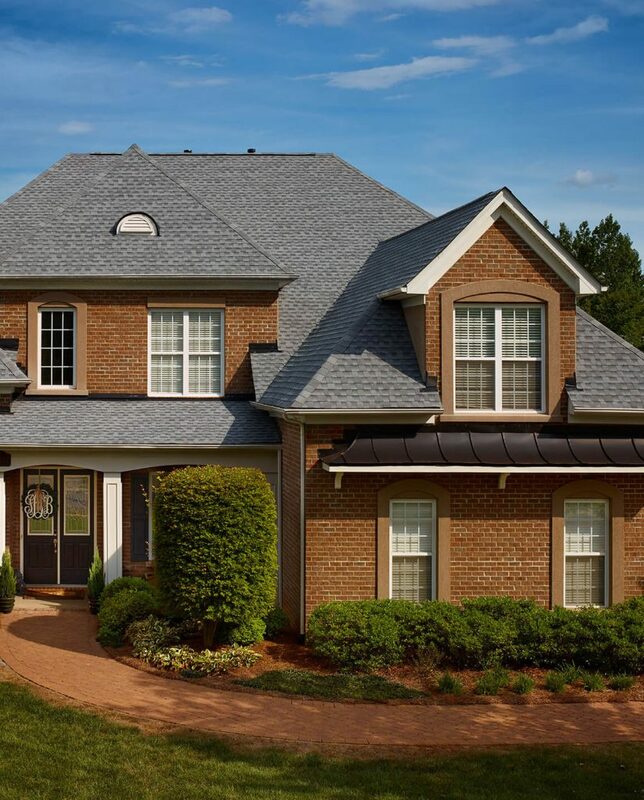 Their curved, elegant design creates a seamless transition and matches your existing roofline, making it look like the addition was originally built with your home. 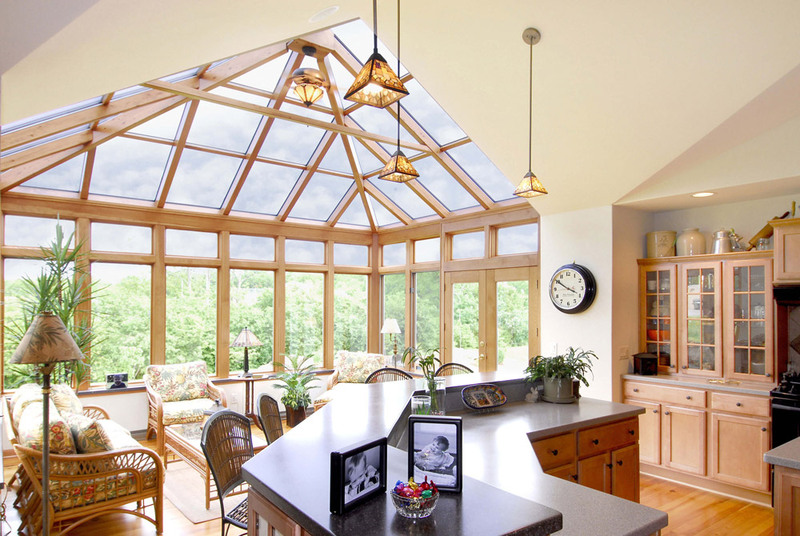 A three seasons sunroom is a perfect choice if you want to bring the outdoors inside. You can enjoy the weather of spring, summer, and fall, but don’t have to spend money heating any extra space during cold Wisconsin winters. You can enjoy the outdoors without the annoying insects when you have a screen room from Tundraland installed. The screen walls of this enclosure allow for optimum air flow and ventilation, giving you the ultimate outdoor experience while sitting inside your home. 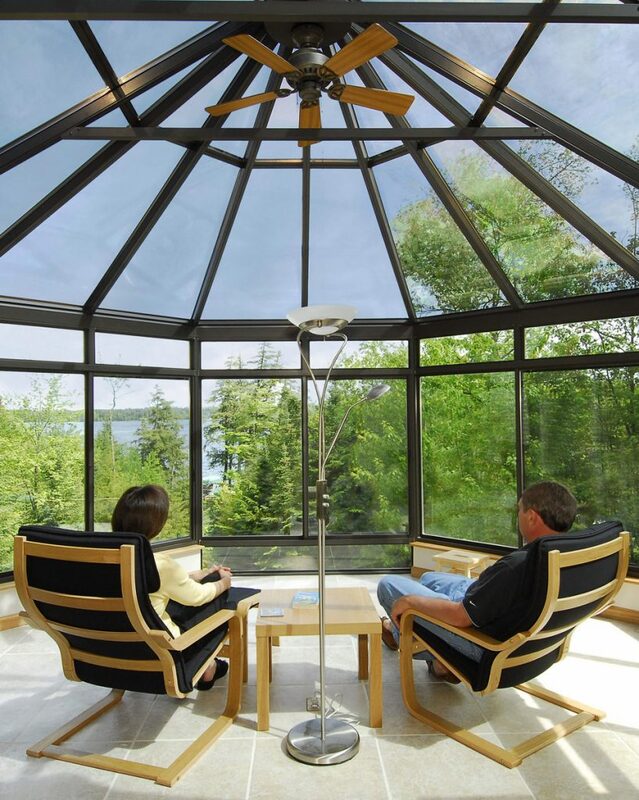 Enjoying all of Wisconsin’s seasons is possible from inside your own home with a seasonal sunroom from Tundraland. 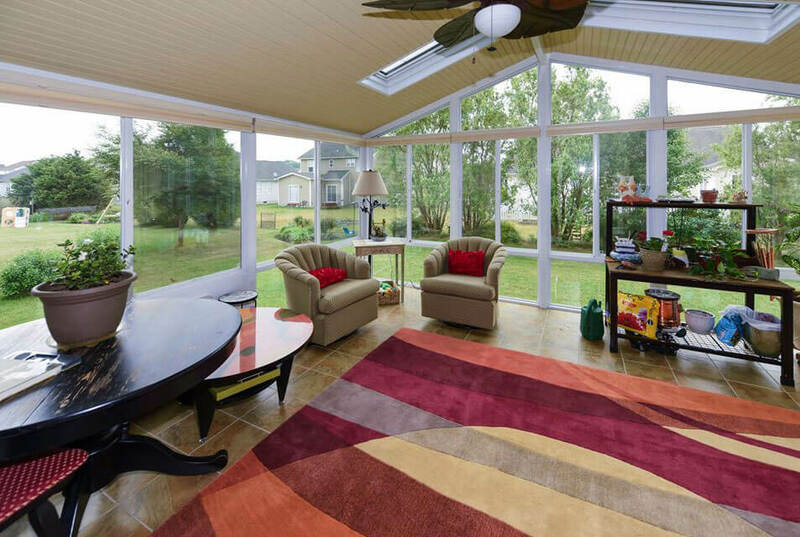 You’ll be able to enjoy your sunroom year-round and create a new space your family will love spending time in. 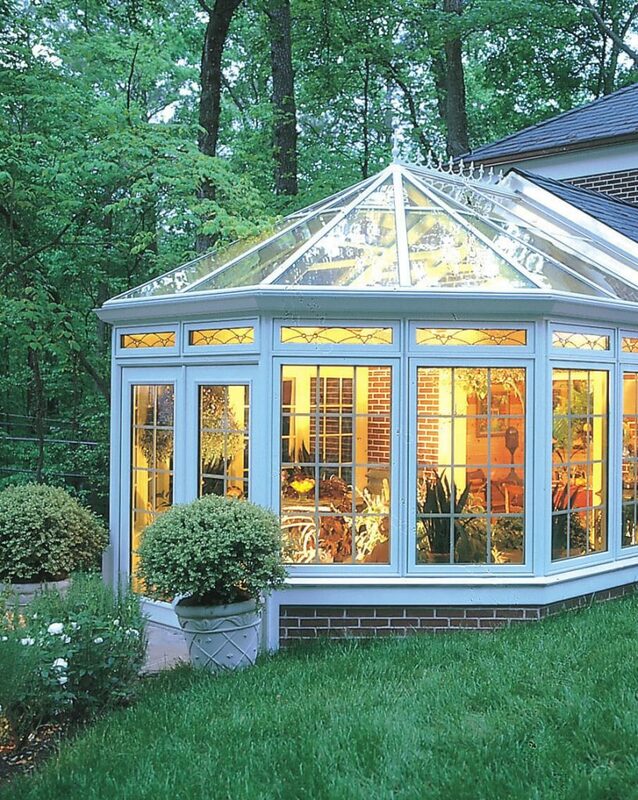 A conservatory sunroom from Tundraland offers a classic and timeless addition to your home. The all-glass walls and vaulted ceiling can allow you to grow a garden indoors, or simply create a new space for you to enjoy the outdoors. Tundraland can help you extend your living space and add value to your home with a room addition. Whatever size, style, or type of addition you have in mind, we can help make it happen for you and your family. Our solid roof patio covers provide durable protection from harmful UV rays and inclement weather. Offered in several designs, these weatherproof patio covers can be enhanced with extra amenities, such as lighting and ceiling fans, to suit your personal taste. 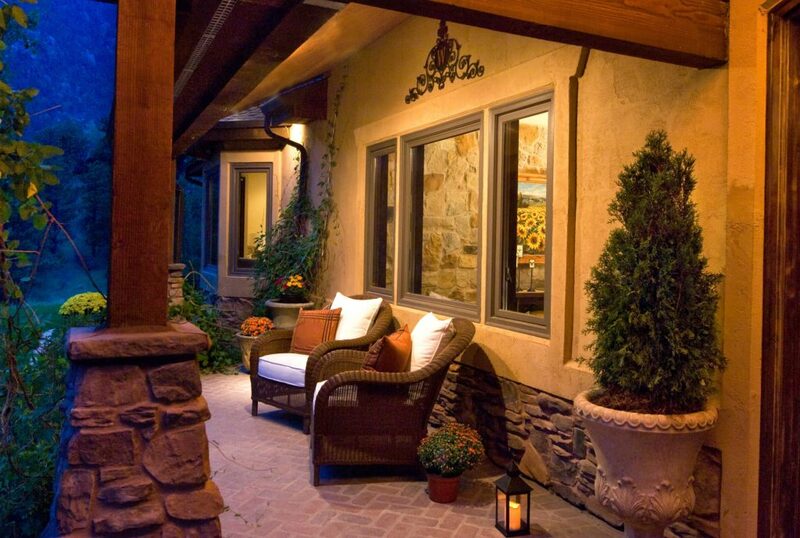 Expand your outdoor living area without breaking the bank.  Buy a new sunroom from Tundraland and make no payments for the first year. 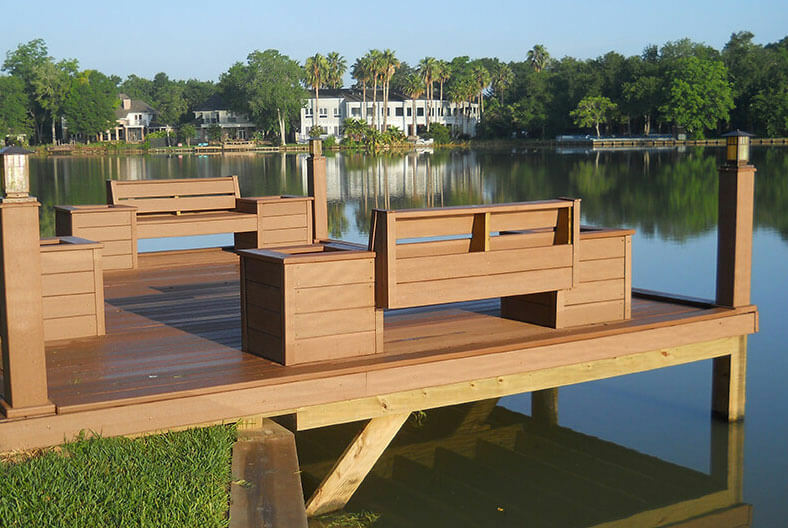 We value our customers’ time, so we make sure that each design consultation and installation as efficient as possible. It can also take as little as a day for Team Tundraland to get started on your project. A lot can happen in a day – this time next year, you’ll wish you started sooner! Contact our design team today to see what a difference a day with Tundraland can make. 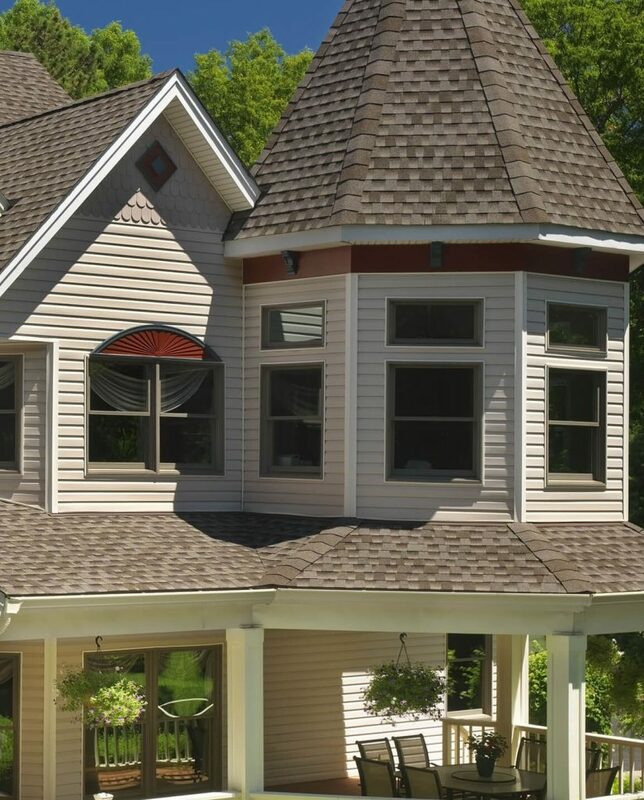 With quality American-made products, excellent customer service, unparalleled craftsmanship, and free design services, Team Tundraland has earned a reputation as the best home improvement company in Wisconsin. Don’t settle for anything less. Only Tundraland can give you the best installations and designs. Our team members are more than just certified installers, they’re expert craftsmen. Each person on our team has the experience to perform installations with skill and precision, with an extra layer of creativity and an eye for perfection. 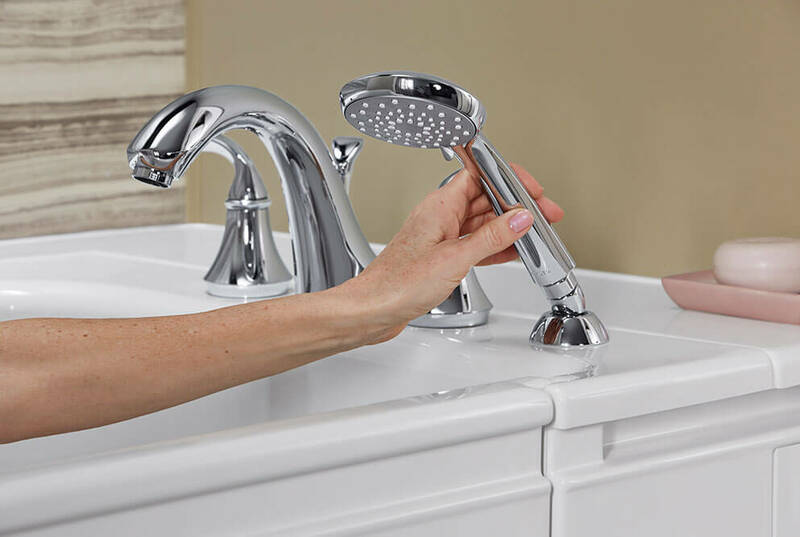 Tundraland offers American-made products for Wisconsin homes. Tundraland’s home improvement products are all made in the USA, because we believe in supporting our country and providing you with the best quality available. Products and installations that last a lifetime. We’re so confident in the quality of our products that we offer a lifetime warranty on everything we install. This means that even a few years down the line, Tundraland has you covered! Call us today, we'll install tomorrow. Once you make the decision to improve your home with Tundraland, we can have an installation specialist out to your home in as little as a day. Oh, the difference a day can make. Our professionals are dedicated to the idea that a business can succeed and do well while also doing good. From making homes safer for people in need to giving back to military veterans, we strive to make a positive impact in Green Bay, Madison and throughout Wisconsin. We give back to those who have fought for our country. One of our many initiatives is Baths for the Brave, a program that honors veterans by rewarding them with a free bathroom remodel. It’s everybody’s community – let’s build it together. Our philosophy is that you can do well and also do good, which is why we support organizations in our community by giving back. Proud partners of the Milwaukee Brewers. Another way we’re involved with the community is with our Wisconsin sports teams. We’re partners with the Milwaukee Brewers because they share our passion for giving back. We’re always looking for ways to support our local artists. Tundraland loves to support the music and arts in our community, starting with our annual Singing in the Shower Benefit. We are seeking passionate people to join our purpose-driven team! We offer cutting-edge training, competitive wages and benefit packages, a very positive work environment and career advancement opportunities that are second to none in Wisconsin and beyond.